Nikko 1/16 Touring Cars • (Radio Controlled Model Archive) • RCScrapyard. 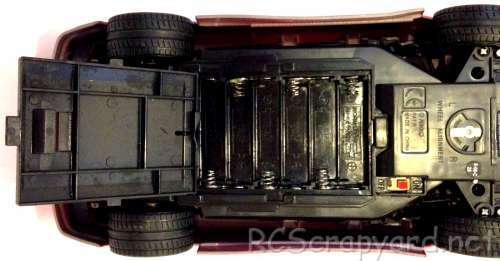 Introduced by Nikko circa 1984, the 1/16 Scale Touring Car chassis came originally with a Mercedes Benz 190E bodyshell and later available RTR over the following years with a wide range of bodyshell options, sold as the "Street Cars" series, "Street Mayhem Tuner" series, WRC "Racing Series" and from circa 2002 the "Fast & Furious" drift car series. 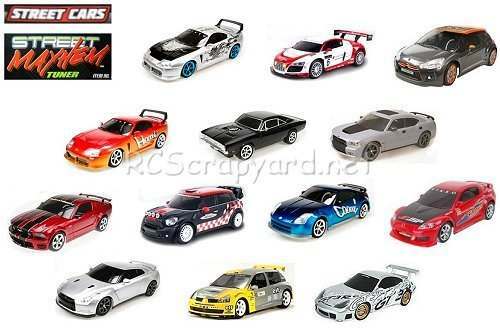 The "Street / Mayhem Series" including: Audi R8, Citroen DS3, Dodge Charger, Dodge Charger RT, Dodge Charger Daytona, Ford Fiesta, Ford Focus, Ford Mustang, Mazda RX8, Mini Countryman, Nissan 350Z, Nissan GTR, Nissan Silvia, Peugeot 207, Porsche 911 GT3 RS, Porsche 911 Carrera 4S, Porsche Cayenne, Renault Clio, Subaru Impreza, Toyota Supra and Volkswagen Polo. The WRC "Racing Series" including: Citroen DS3 (WRC), Ford Fiesta (WRC), Ford Focus (WRC), Mini Countryman (WRC), Peugeot 207 (WRC), Subaru Impreza (WRC) and Toyota Supra (WRC}. 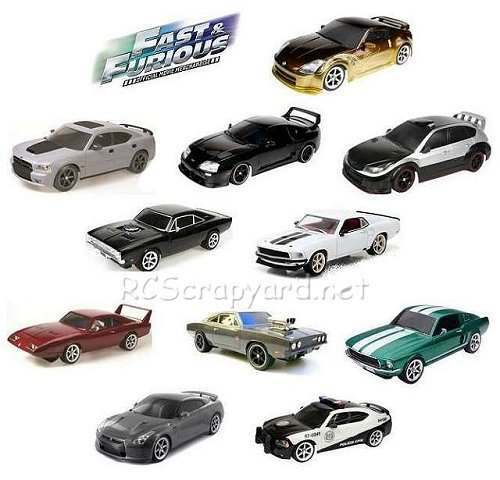 And the "Fast & Furious" Series including: Dodge Charger (Drift), Dodge Charger RT (Drift), Dodge Charger Daytona (Drift), Ford Mustang (Drift), Nissan 350Z (Drift), Nissan GTR (Drift), Nissan Silvia (Drift) and Subaru Impreza (Drift). 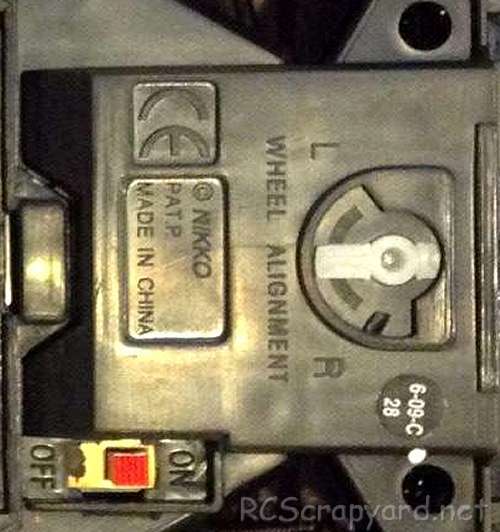 The original model is based on a molded plastic chassis, front independent suspension, wheel alignment adjustment, 2-speed (high / low), bushings and bearings. Later versions vary slightly.